FE&C knows that you need foam recycling solutions that get the job done right quickly, safely and efficiently. That’s why we offer the solid reliability and innovative engineering of Heger’s recycling systems. Heger foam compactor machines are designed to densify foam materials to reduce volume and to give your organization the ability to recycle foam materials efficiently. 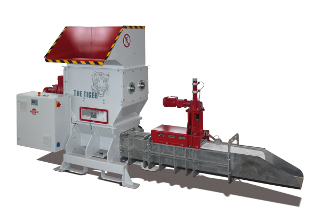 Heger’s Tiger line of foam compactor machines makes the foam disposal process effortless. 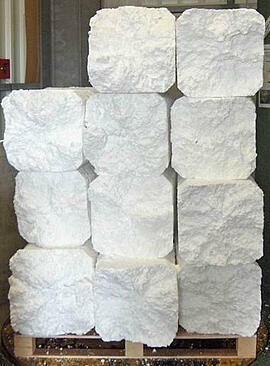 Using innovative technology, the Tiger line compresses bulky EPS foam waste into manageable, stackable blocks. These foam recycling EPS compactors not only save time, but they can also help your organization save on transport and disposal costs. Heger’s Lion line is considered the all-rounder of the brand’s compression systems. Not only can this line compress bulky foam waste, but it can also handle PE foil pieces and compress it into dimensionally stable blocks. This foam densifier machine has a 50:1 volume reduction ratio. These Heger recycling systems crush and compress a variety of waste materials into recyclables. Heger’s compression lines help reduce labor, while lowering storage and transport costs in the process.